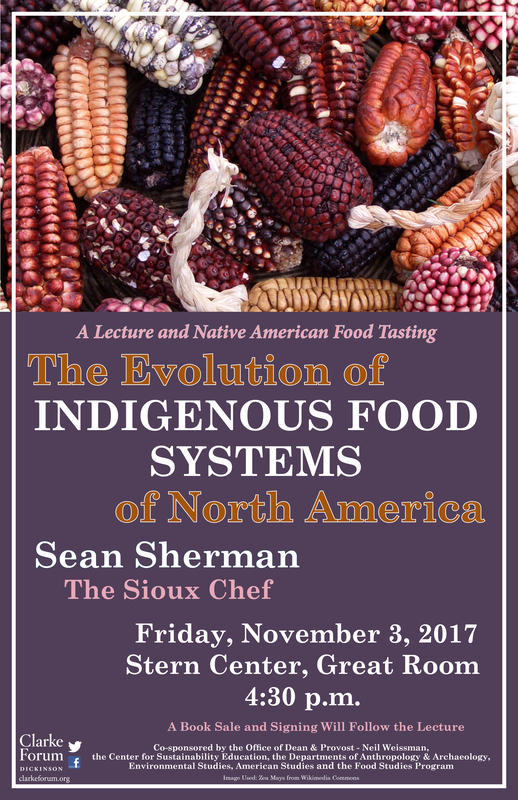 Committed to revitalizing Native American cuisine, Sherman will share his research uncovering the foundations of the Indigenous food systems. There will be a book sale and signing following the presentation. This program is sponsored by the Clarke Forum for Contemporary Issues and co-sponsored by the the Office of Dean & Provost – Neil Weissman, the Center for Sustainability Education, the Department of Anthropology & Archaeology, American Studies, Environmental Studies, and the Food Studies Program. Sean Sherman, Oglala Lakota, born in Pine Ridge, South Dakota, has been cooking in Minnesota, South Dakota and Montana for the last 27 years. In the last few years, his main culinary focus has been on the revitalizing of indigenous foods systems in a modern culinary context. Sean has studied on his own extensively to determine the foundations of these food systems which include the knowledge of Native American farming techniques, wild food usage and harvesting, land stewardship, salt and sugar making, hunting and fishing, food preservation, Native American migrational histories, elemental cooking techniques, and Native culture and history in general to gain a full understanding of bringing back a sense of Native American cuisine to today’s world. 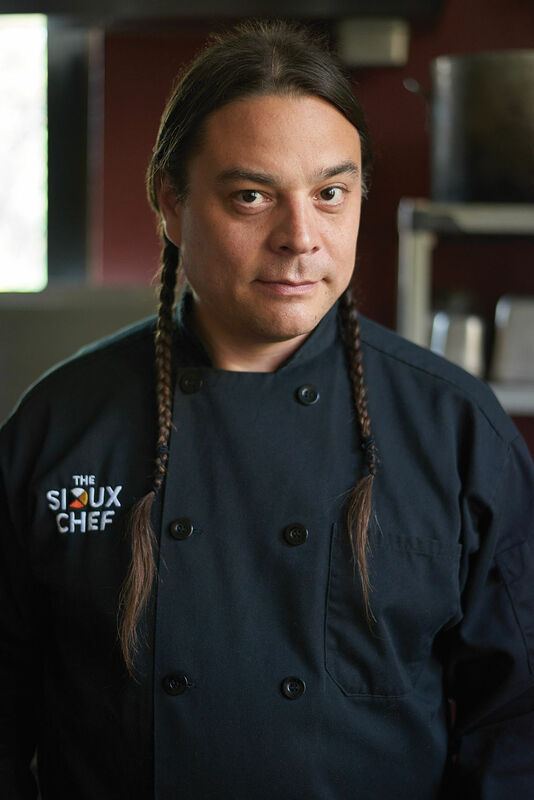 In 2014, he opened the business titled, The Sioux Chef as a caterer and food educator to the Minneapolis/Saint Paul area. In 2015 in partnership with the Little Earth Community of United Tribes in Minneapolis, he and his business partner Dana Thompson designed and opened the Tatanka Truck, which features pre-contact foods of the Dakota and Minnesota territories. 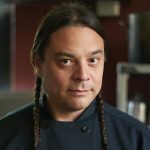 Chef Sean and his vision of modern indigenous foods have been featured in many articles and radio shows, along with dinners at the James Beard Foundation in Milan and also Slow Foods Indigenous Terra Madre in India. The Sioux Chef team continues with their mission statement to help educate and make indigenous foods more accessible to as many communities as possible.